Welcome to our Community Spotlight, a series spotlighting our favorite creatives that are making their mark in the world. Today we're excited to chat with Kim from Love Cloth, who runs a gorgeous blog with a focus on fashion, but driven by photography. Keep reading to hear how staying creative and passionate has allowed her to grow her blog and get noticed, including winning some impressive awards along the way! Love Cloth began 5 years ago by myself, Kim. Personal style has always been the main focus of my blog but as the years passed and as my audience has grown with me this has evolved to encompass more travel and interior posts, with a sprinkling of health and beauty. Not to mention a passion for photography at the heart of it all. 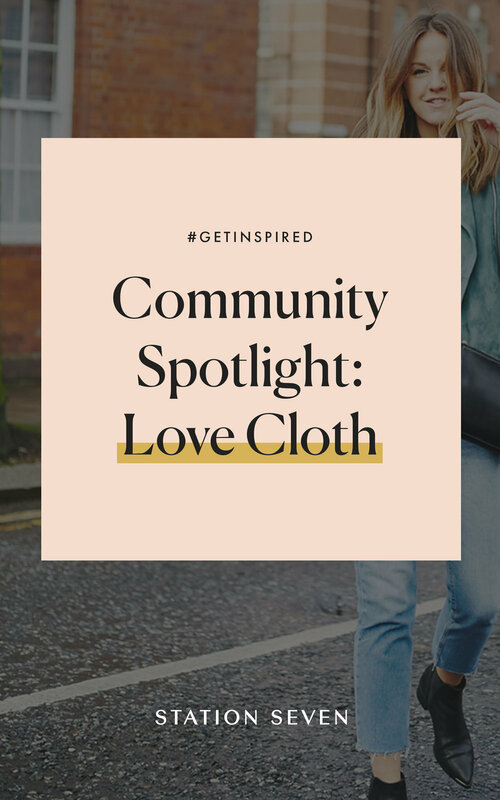 How did you get started with Love Cloth? At university, my degree was an amalgamation of everything; design, advertising, and photography. I wasn’t quite sure what I wanted to be “when I grew up” but when I left university I missed having a creative outlet. Well, you already know where this story goes. I decided to channel it into a blog, using all the aforementioned skills. Ta-da…LOVE CLOTH was born and the rest is history. Keeping creative. There’s so much comparison online it’s good to step back to remind yourself why you started in the first place. Take some time to get creative and be inspired. I was lucky enough to win Best Newcomer Award at the Cosmo Blog Awards, it was a pinch-me moment and I haven’t looked back since. Blogging has introduced me to so many new people, given me friends for life and opportunities to with work wonderful brands and travel to places I've never been. I would love to say I did it all but I had a little help importing all my posts from my previous web host and platform Blogger over to my new one host and platform Wordpress. The rest such as editing my template itself was super easy even for novices like myself. Do it, there’s plenty of room in the pond for us all. Just do it for the right reason. Do it for the passion of being creative and being you. It can be disheartening at first when you spend a few months talking to yourself but if you're passionate it makes it worthwhile. You’ll find daily musings pretty much everywhere @loveclothblog, with a healthy addiction to Instagram. Find my blog here.